Construction is now complete on this magnificent generously proportioned and elevated 4 bedroom home offering over 28 squares of luxury living (including garage) and top end finishes only a short walk to Westfield Shopping Town, great schools, public transport and all other facilities Manningham has to offer. This premium-designed residence offers front south facing views and sets the standard for superb 21st Century low maintenance living offering modern craftsman-ship combined with high quality fixtures and fittings. The home features excellence in every direction with magnificent Tasmanian Oak hardwood floors, high ceilings and energy efficient LED down-lights throughout. The 2-pac kitchen is a chef’s delight and comes complete with stone waterfall bench-tops, glass splashbacks, quality chrome tap ware, European SMEG Stainless steel cooking range, under bench double bowel sink and a butler’s pantry, making the chef of the house very happy. The ground floor comes with separate lounge, generous open plan family room combined with dining and informal meals area. A private, ground floor master suite complete with large WIR & lovely en-suite is perfect for the lucky family who are fortunate to have the grandparents close to them. Sliding doors open to the Alfresco Veranda and paved private outdoor entertaining area. Upstairs accommodation consists of the 2nd master suite complete with WIR & luxury ensuite, 2 further very good sized bedrooms with WIR, a central luxury bathroom with spa and double vanities and a rumpus/open study to complete this delightful property. Other features include energy efficient separate split system heating/air-conditioning to all bedrooms and living area, ducted vacuum system, hardwood staircase, security alarm, front porch camera/intercom, quality carpets, total 3 bathrooms & 4 toilets, double garage with remote control panelled door & internal access and full landscaped gardens. 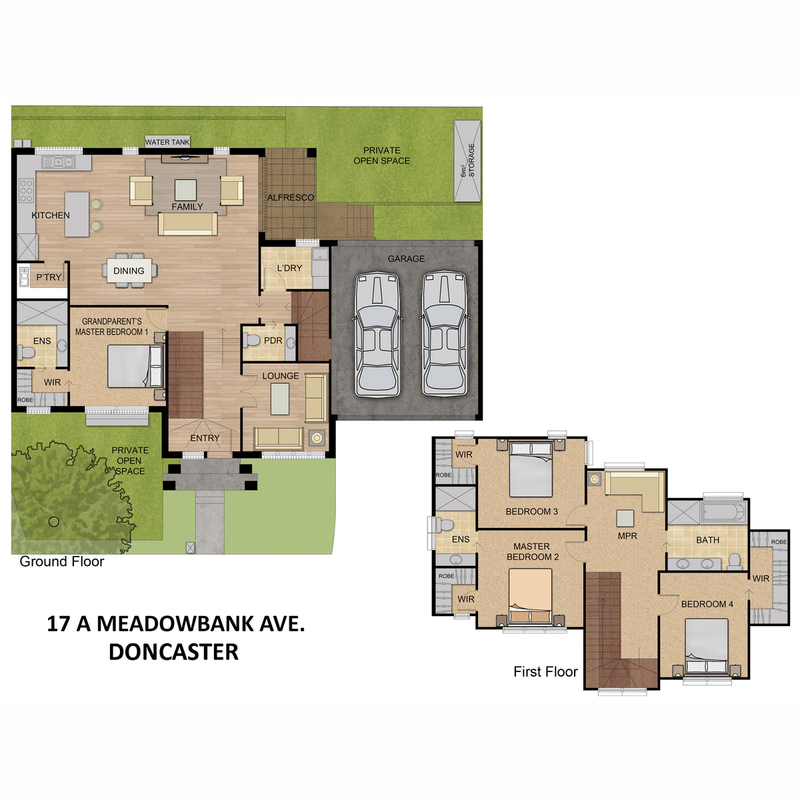 You will enjoy living here at 17A Meadowbank Ave. Doncaster!